Install an Access’ Roof Ladder for safe and easy access into your ceiling space. Thank you for visiting our new Internet site. Our aim is to show you the advantages of having an Access/Roof Ladder installed into your ceiling space and provide you with the right information to the most commonly asked questions. Accessible Attic Ladders are distributors for two Major Ladder companies. AM-BOSS Access Ladders and Fakro Access Ladders. This provides you with a wide variety of models to suit practically in any situation. Accessible Attic Ladders is family owned & operated by Ross & Lavinia Christensen and was established in 2005. Ross is a tradesmen carpenter and a registered builder so you can be sure you get the right advice the first time. 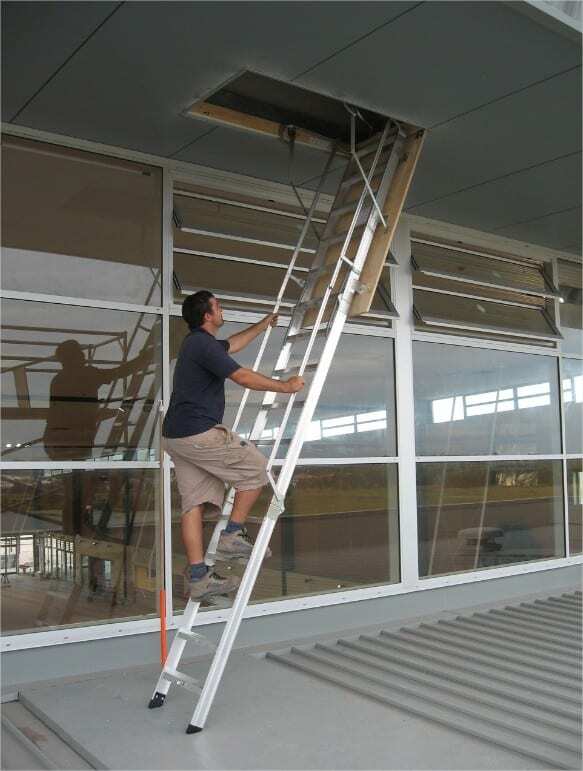 We specialize in all areas of Domestic and Commercial Access Ladders and install what we sell. If you are not familiar with our company and your first contact with us online, it would be great to heart from you! Please let us know what your requirements are and we will be more than happy to provide you with an obligation free consultation and or quote on your requirements.